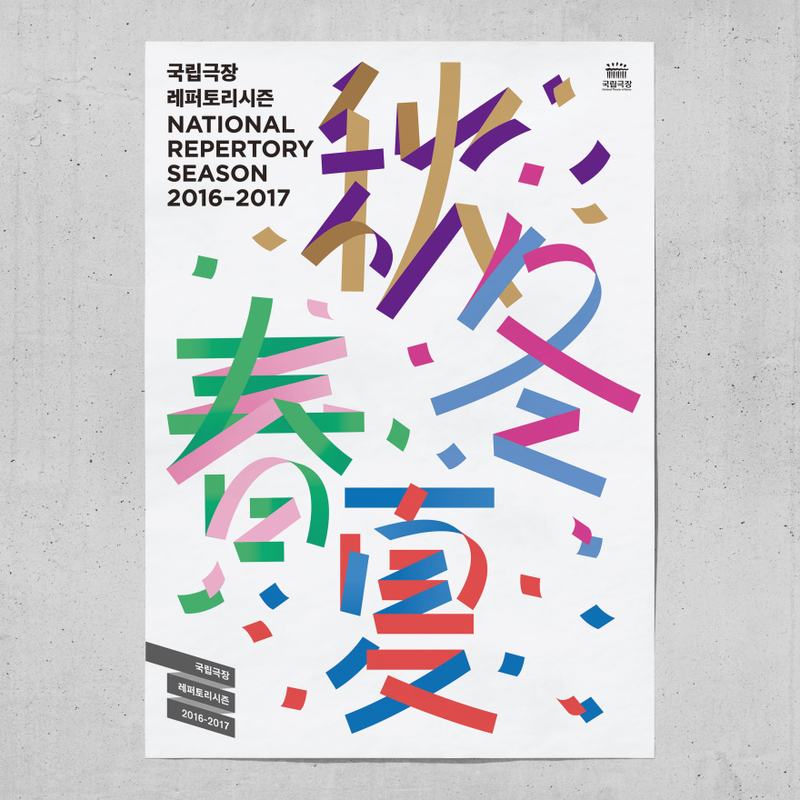 Founded in 1950, the National Theater of Korea has been a leader in art performances in Korea for over 60 years. 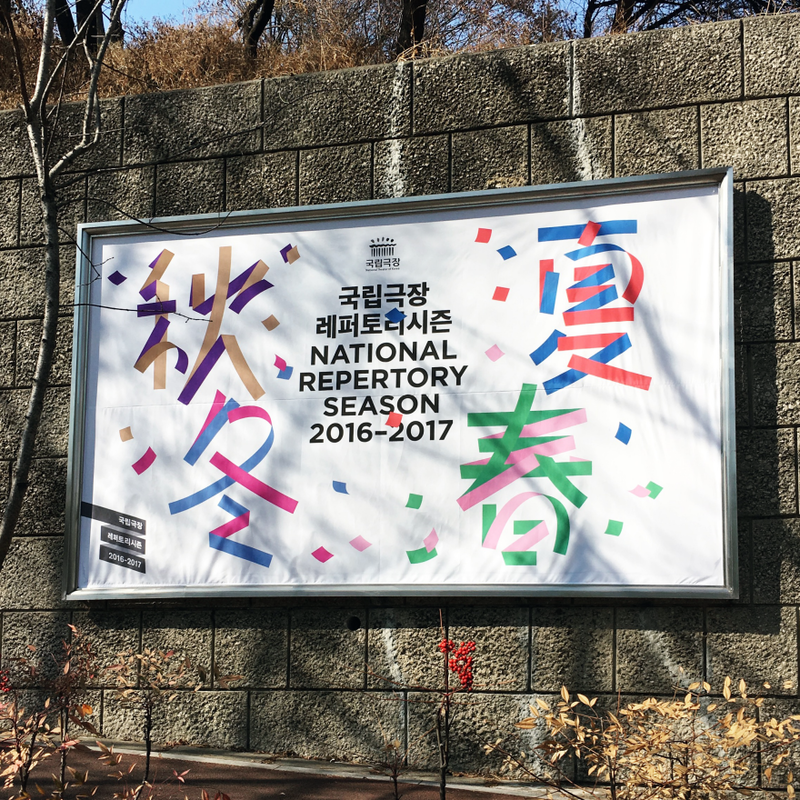 'National Repertory Season' is an annual season program presenting innovative new works and best repertoire by national arts groups in theater, traditional drama, dance and orchestra. 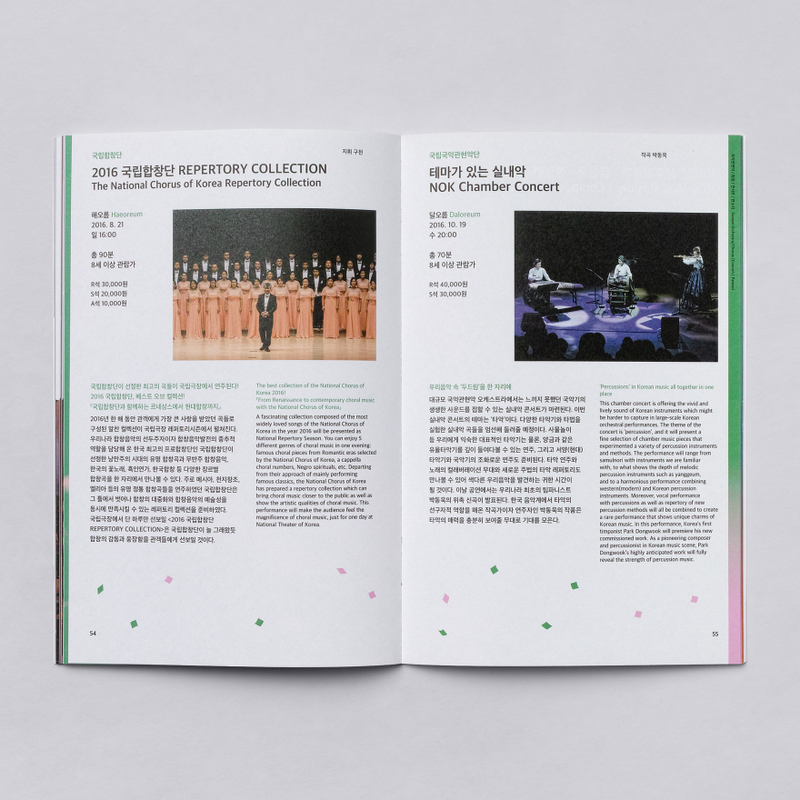 From August 2016 to June 2017, studio fnt designed visuals for all performances by this program, and created applications for performance introduction and ticket sales. In the case of representative image of the entire program, it would be shown to audiences of all ages for a long period of one year. 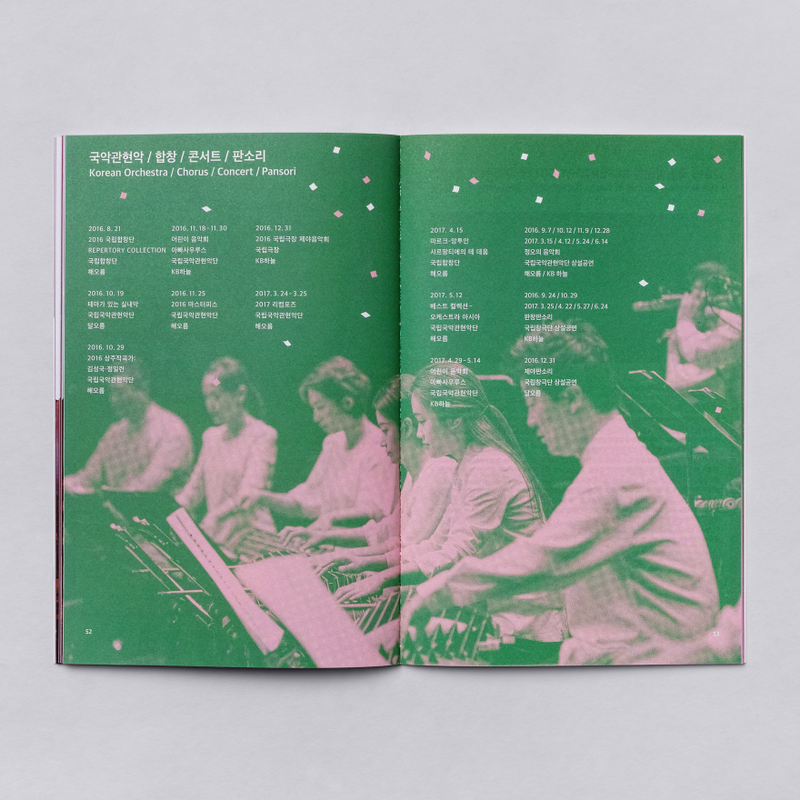 Therefore, we wanted to make an image that expresses the joyful feeling of the performance without being boring for a long time. 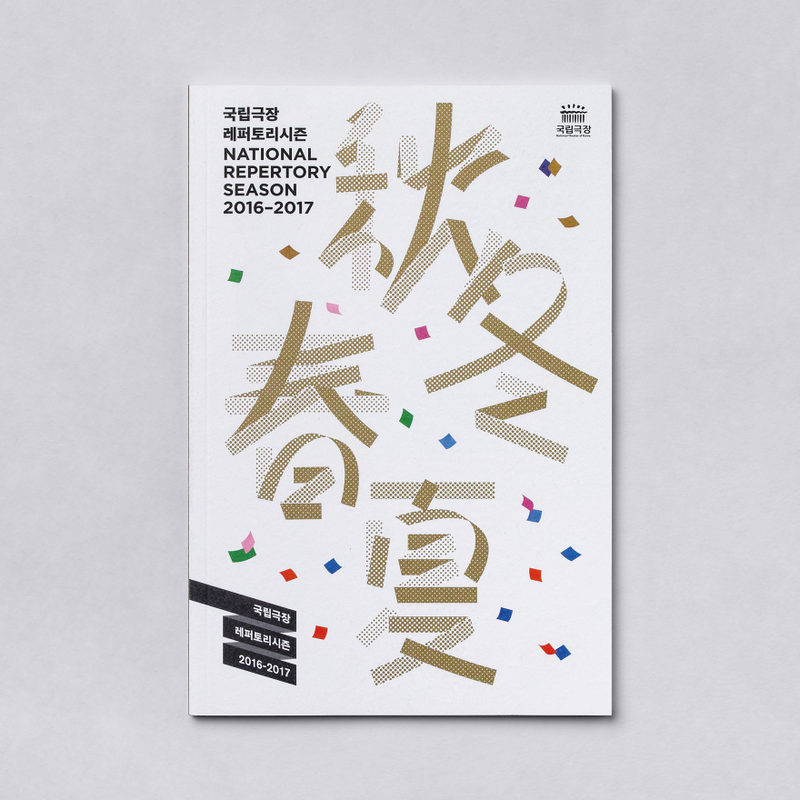 By connecting the images of four seasons and confetti, four Chinese characters, meaning spring, summer, autumn and winter, were lettered with paper ribbon. 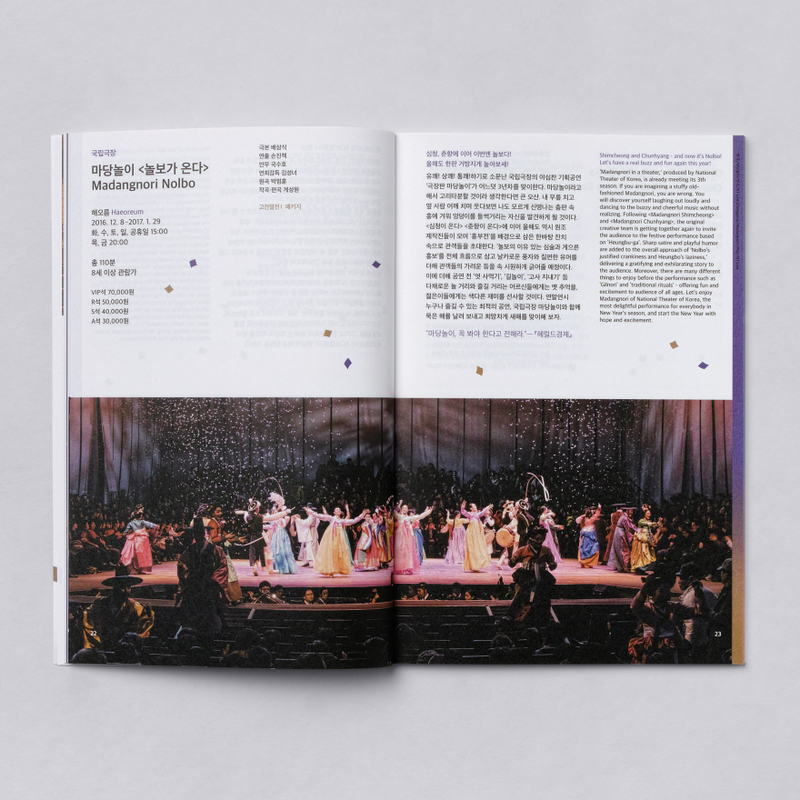 The images of paper ribbon and confetti are also used to distinguish the categories - theater, traditional drama, dance, and orchestra through their unique combination of colors. 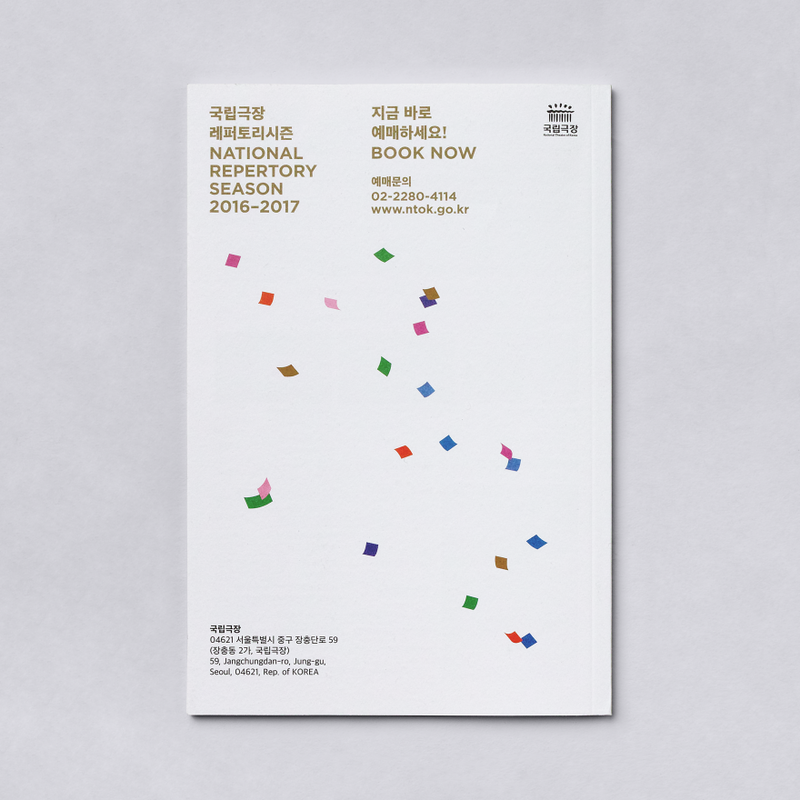 Since the opening of tickets last summer, the program has been running successfully with sold out of many performances. Based on the good results of the first season, we are working on the visuals of the next season for 2017-2018.